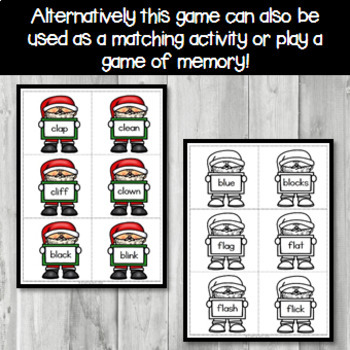 Are you looking for a fun Christmas game to review L blends? 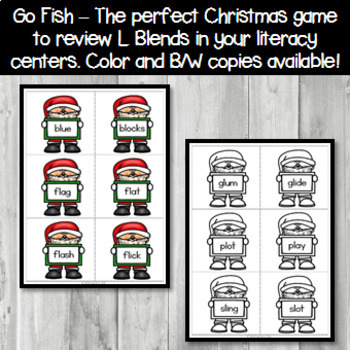 This Christmas Themed Go Fish L Blend Game is perfect for reviewing blends with your students! Great game to incorporate into your literacy centers and keep students engaged. 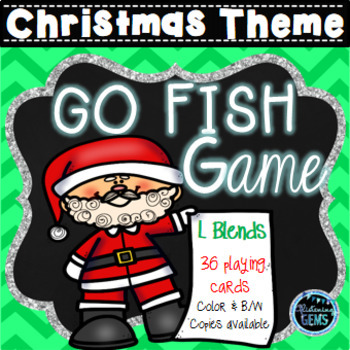 This activity includes 2 sets of 36 Christmas themed s blend playing cards in color and black lined. 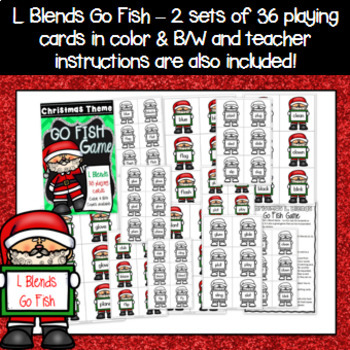 Blends included in Go Fish game: cl, bl, fl, gl, pl & sl.